While the closure of some coal-fired power plants is due to the low cost of natural gas, it’s the EPA’s war on coal that is causing the closing of most coal-fired power plants. A recent study by The Brattle Group indicates that the closure of coal-fired power plants will increase the cost of electricity by between 5 cents per kWh and 11 cents per kWh1. While this prediction is for the wholesale prices, it will undoubtedly result in similar increase for retail prices. The drivers for these increases will be the reduced supply of electricity caused by the closure of coal-fired power plants, higher operating costs, primarily due to cycling of plants not designed for that purpose, and higher prices for natural gas. These increases will be in addition to increased prices for electricity due to increasing requirements for renewables, such as wind and solar. For those states having renewable portfolio standards (RPS) each New Year sees an increase in the amount of electricity that must come from renewables. While US prices for electricity are still well below those in Germany, where the price is around 50 cents per kWh, the trend of US prices is toward those in Germany. The Brattle Group report is the first to look at the impact of coal-fired power plant closures on the price of electricity. Other studies have projected the impact of closures on supply. The report also indicated that accelerated closure of nuclear power plants could further increase the price of electricity. Higher prices for electricity have a twofold negative effect on the economy. First, consumers paying more for electricity will have less to spend on other items, putting the same kind of drag on the economy that higher gasoline prices have had in prior years. Second, higher prices for electricity will have a negative effect on industry by reducing competitiveness and reducing its ability to create jobs. The impact will be felt less by industries that rely heavily on the use of natural gas, because of the low cost of natural gas resulting from fracking. 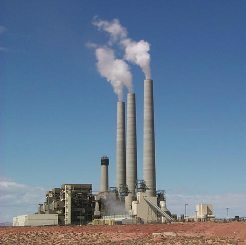 EPA’s war on coal is not only causing existing coal-fired power plants to be closed, but is also preventing the building of new ultra-supercritical coal-fired plants, such as the one recently opened in Germany, that are 45% more efficient than traditional coal-fired power plants2. The EPA’s war on coal is having a negative effect on the economy. Brattle Group study, “Coal Plant Retirements: Feedback Effects on Wholesale Electricity Prices.” Study was done using PJM region. Ultra-superficial coal-fired power plants can have an efficiency of 46% HHV, while traditional coal-fired power plants have an efficiency of 32% HHV.